Egyptian Forces Carry Out Series Of Security Operations Eliminating About 30 Terrorists 5 out of 5 based on 6 ratings. 6 user reviews. Over the past few weeks, Egyptian security forces have carried out a series of operations against terrorist cells operating in the country. On October 15, the Ministry of Interior stated that nine terrorists had been eliminated in a fire exchange with government troops. The terrorist cell was detected during a security sweep in a mountain cave near the road between the provinces of Asyut and Sohag. Rifles and explosives were seized on the site. 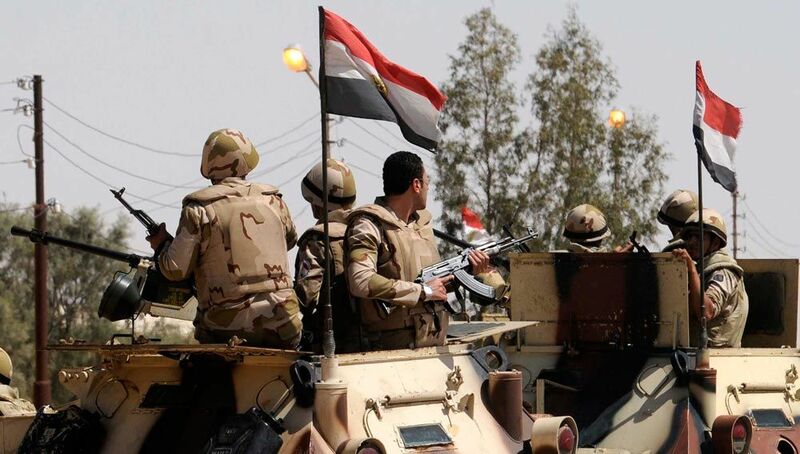 On October 9, Egyptian authorities announced that security forces had eliminated 10 terrorists near the city of Arish in the province of North Sinai. According to an interior ministry statement on the issue, the terrorirsts were possessing three explosive devices, three machine guns, and three rubber bullets guns. A day earlier, on October 8, the Egyptian Air Forces struck seven hideouts of terrorist groups in North Sinai. 26 terrorists were killed, 2 vehicles were destroyed by the strikes. Ground forces also seized 26 vehicles and 52 motorcycles. The Egyptian military kicked off a large-scale security operation against terrorist in North Sinai in February. The operation, entitled “Comprehensive Military Operation Sinai 2018”, has already led to elimination of a large number of terrorists in the region. Nonetheless, terrorist cells, mostly linked to ISIS, still remain active in this part of the country. Russia and Egypt will hold “Defenders of Friendship-2018” anti-terror drills in the period from October 24 to October 26. The drills will involve over 400 paratroopers from both countries, more than 15 helicopters and aircraft of the Russian Aerospace Force and the Egyptian Air Force as well as six Russian BMD-2 and BTR-D armored vehicles that will be air-dropped using Russian-made parachutes.